Home » Games » Family Games » What’s new in the new edition of Stay Away! 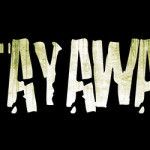 What’s new in the new edition of Stay Away! Stay Away! is a contagious horror game, inspired by Cthulhu mythos and Carpenter's "The Thing" movie. In the game, an archaeological expedition group mysteriously disappears during an exploration of the risen island of R’lyeh, and a rescue team is sent to aid them. As they investigate the site, they encounter something terrible that seeks to destroy the team from within. The game was launched by the developer, Escape Studios, with a successful Kickstarter campaign in 2014, and now it's coming back in a new English edition with several improvements, published and distributed worldwide by Ares Games, under license from Pendragon Game Studio. The contagious horror game Stay Away!. At the beginning of the game, all players are Humans except the player who receives "The Thing" card in the first round. From that moment on, that player assumes the role of The Thing and he cannot discard or exchange this card. The Humans have to work together to identify which player is The Thing and "roast" it with a "Flamethrower" card, while The Thing tries to annihilate the Humans or change their status to Infected by passing them an "Infected!" card. Players remain Human until The Thing passes an "Infected!" card to them during a card exchange, thus becoming an Infected and taking on that new role: then they're now an ally of The Thing and must take care that its identity is not revealed. 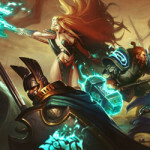 The new edition was improved thanks to the players' feedback, with changes to make the gameplay faster and to clarify the effects of some cards, while keeping unchanged the fun and original spirit of the game. Let's look at what is new in the rules. A "Fast Start" option was introduced, to allow the Infection to start spreading sooner, to get the players faster to the point when the game becomes more tense and engaging. The effects of some "Panic" cards- those influencing the movement of players- have been revised and improved. The effects of the "Quarantine" and "Barred Door" cards are now more balanced, so that players under the effects of these cards get back into the game faster and don't stop interacting with the other players. The "Missed!" card text now includes clarifications about its effect. A new card, "Placeholder" (a green arrow) was introduced to handle the situations when players exchange places. In the previous version of the game, the turn continued to the first player in clockwise order from the players who changed place, and for this reason other players could skip some rounds. Now, the turn goes on normally, as the Placeholder card or any other token are used to keep track of the player who is in turn. When a player plays a card requiring a place exchange, he will exchange cards with the next player according to his new position. However, the Placeholder card remains in place, and the game resumes from the player next to the one who moved away. A new rule, "Super Infection", was also introduced. 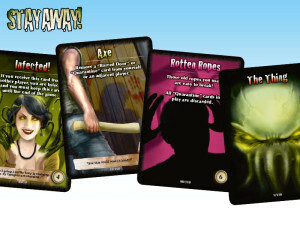 An “Infected!” card may only be exchanged between an Infected player and The Thing. With this new rule, if a player has only “Infected!” cards in his hand, and he must pass a card violating this rule, he must show his card hand and is eliminated from the game. Some of the cards of Stay Away! "Some players complained that a player could be eliminated before the end of the game, but in the take-that spirit of Stay Away! experience we thought this feature should be preserved, changing it would degrade the main game's goal: to survive independently if the player belongs to the Humans or Infected faction. We think the improvements we did in this new edition make sure the game is faster, improving the player's experience no matter if you end up dying or surviving!" said Antonio Ferrara, one of the game's authors. Players who bought the previous edition of the game at GenCon or Essen last year at the Ares' booth already received an upgrade kit which included the most important card changes. 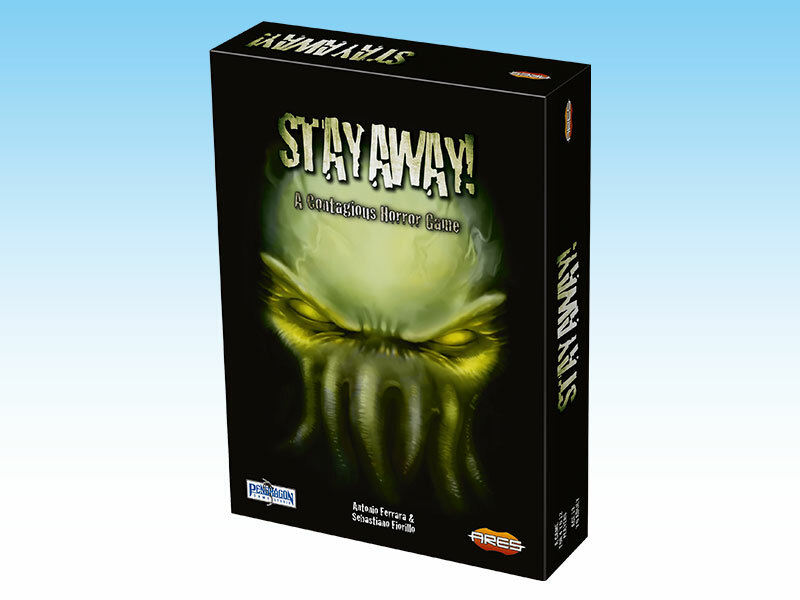 The complete rulebook of the new edition of Stay Away! is online, and also an Upgrade Kit with instructions and cards for players who got the first edition of the game. Tags: Card Games, Stay Away!